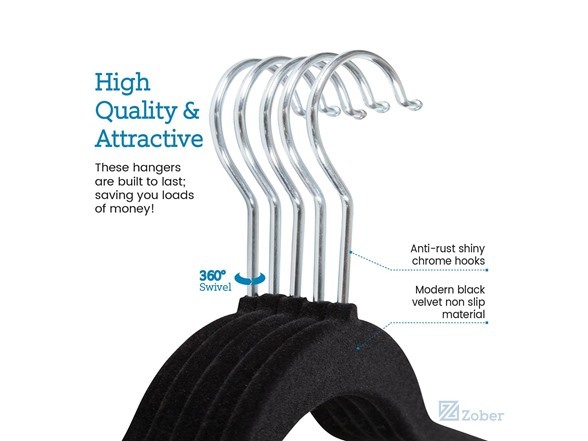 Say goodbye to flimsy plastic or wire hangers and upgrade to luxurious yet affordable velvet hangers. 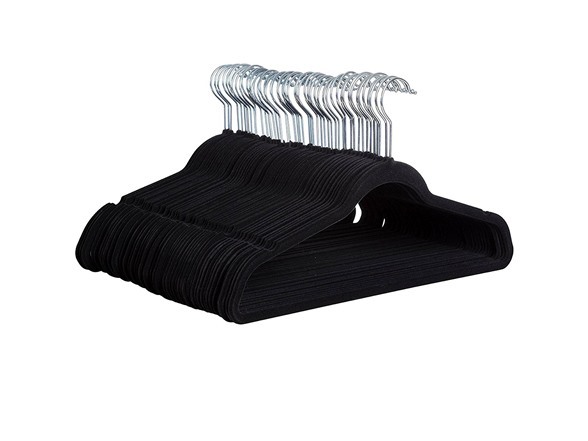 This pack of 50 hangers allows for a complete closet redo. 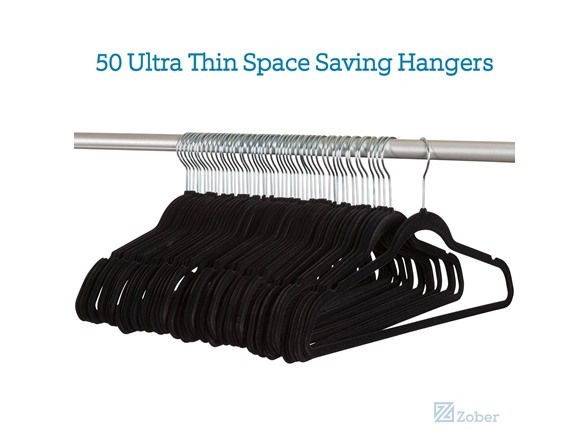 Made of lightweight yet flexible plastic, these hangers are built to last and can withstand a maximum weight of 10 pounds; excellent for hanging winter coats and puffy jackets. 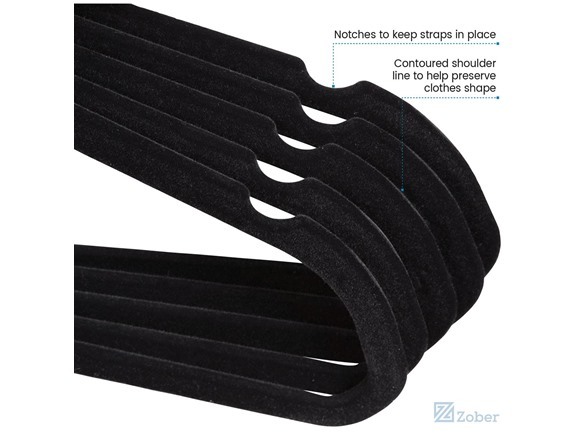 The pant hangers feature a horizontal bar that is covered in luxurious velvet that both grips and prevents creases..